Pastor Carol came to Diamond Hill July 1, 2014. Carol was born in Ohio and moved to Virginia at a young age with her family where she grew up in the beautiful Shenandoah Valley. Carol has always known that God placed a call upon her life but was unsure how to answer that call. She has been active as a lay person in The United Methodist Church her entire life, serving as a Sunday School teacher, singing in the choir, teaching and organizing Vacation Bible School and holding most offices at various points. While serving the church, Carol built a successful career in business in the healthcare finance, administration and information technology industry. She held upper-level management positions in hospitals, long term care facilities and a software development company. She eventually formed her own consulting company to assist private practitioners with software selection, financial operations and the maze of regulations with which they need to comply. In 2009, Carol took the step of deciding to enter professional ministry when she became a candidate for ministry. In January 2010, she attended Local Pastor's Licensing School and was subsequently appointed to serve as the Associate Pastor of Centerport United Methodist Church on Long Island. In August of 2011, Carol enrolled as a full-time student at Drew Theological School in Madison, NJ to pursue a Master of Divinity, while continuing to serve the church in Centerport. She graduated from Drew with her M.Div. in May 2014 and was appointed to Diamond Hill United Methodist Church and The United Methodist of Springdale as a shared pastorate in July 2014. Effective January 1, 2016, Pastor Carol appointed full time to Diamond Hill UMC. Carol enjoys her ministry and is excited to be among the people in Cos Cob. She particularly enjoys leading Bible studies and designing worship services. Pastor Carol lives in the parsonage in Cos Cob with her three cats. She invites anyone who is searching for a church home ... or just searching ... to visit and get to know the warm, caring people in the congregation. Andrew Gordon is a graduate of the New England Conservatory and the Juilliard School. 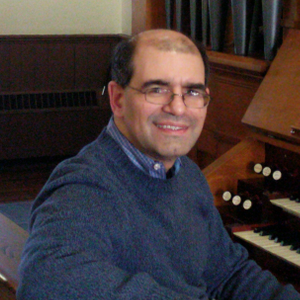 As well as being music director at Diamond Hill, he is a staff accompanist for Western Connecticut State University in Danbury, appears regularly as a member of the Greenwich Symphony Chamber Players and serves as the accompanist and consultant for the annual Jenny Lind Competition, sponsored by Bridgeport’s Barnum Festival. In addition, he maintains piano studios in Greenwich and at his home in Redding. His choral anthem An Evening Prayer is published by Oxford University Press. The Administrative Council is the programming and decision-making body of the church. The committee receives reports from other committees and groups in the church and takes key votes, connecting the broad vision of the church with the everyday details of its ministries. The Board of Trustees is responsible for keeping up and repairing the property of the church. It also decides property policies, oversees the purchase or sale of property, and recommends to the church whether to accept gifts and bequests. The Committee on Finance is responsible for creating the church budget and overseeing the church’s financial stewardship and fundraising. The Staff Parish Relations Committee is responsible for building productive and just relationships between the congregation, the staff, and the pastor. It is responsible for hiring, review, salaries, and communicating the pastoral needs of the church to the annual conference. The Committee on Lay Leadership is responsible for nominating members for all other committees. This group, chaired by the pastor, has as its responsibility, the identification, development, formation, and support of the people who will give leadership in the local church. The Endowment Committee is the body that oversees the management and use of the Diamond Hill Endowment Fund. Decisions about how the fund is invested and how a portion of the interest is used are made and reported by this committee.